Surge Pricing Uber Style: Is Surge Pricing a Good Idea for Businesses? When Uber’s practice of surge pricing made news, the business world apparently took note. Companies like Disney and UPS are reportedly considering implementing the practice, which would allow them to up prices when its services are in demand. For parks and delivery services, surge pricing makes sense, since high demand means increased business costs, including hiring additional workers and increasing product inventory. 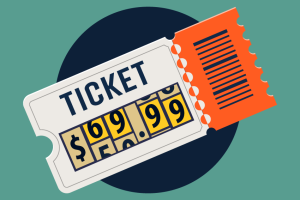 But does the pricing model make sense for every business? Here are some things businesses should consider before increasing costs when demand is high. Each year, brands participate in Black Friday with special offers and deep discounts. Surge pricing directly contradicts that practice, upping prices on a peak holiday shopping day. For many businesses, the advent of price tracking software has made surge pricing an impossibility, since it would only drive customers to the many competitors advertising bargain prices during peak shopping days. Unlike retailers, Uber faces little danger from competitor price monitoring, since customers can’t easily compare prices between different transportation providers. If a customer could access a tool to monitor competitor prices, they would see that a competing service has better rates during a peak time like New Years Eve. They would then choose the other service, leaving Uber with fewer customers. Uber, Disney, and UPS have one thing in common: they’re service-based businesses. Product-based businesses are expected to put a price on an item and honor that price, whether customers are making a purchase on a low-volume day or on a day when demand is high. If a business changed prices every day based on how badly customers wanted an item, that business would have a difficult time avoiding accusations of bait-and-switch tactics. This is especially true in an era where competitive price monitoring is the norm. No matter what products a business sells, there is probably another business interested in offering the same item for less. Whether through print ads or simply advertising the price on a website, a business can only win customers over when it sets a price and honors it, then continues monitoring competitor prices to ensure it remains the lowest. As consumers strive to find the best deal, it’s important that businesses use price tracking to keep up with competitor prices. With a price tracking tool like PriceManager, retailers can always ensure they have the lowest prices on every product they sell. When customers search for the lowest price on an item, this can be an important marketing tool to win those shoppers’ business.